Advanced Virtual Radiology, based in Sylvan Lake, Michigan, is a leading teleradiology services provider offering off-site readings and interpretations for a wide variety of images. 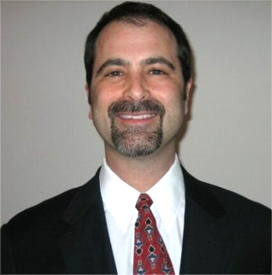 Anthony Bennett, MD, owner of Advanced Virtual Radiology, is a board-certified, fellowship trained radiologist with specialized knowledge and over 25 years of experience in the evaluation of radiology exams, including the newest multi-channel CT procedures with complex reconstructions. Customer service is our number one priority - all in the interest of optimal patient outcome. As an integral part of any patient care team, we utilize today's technology to offer a convenient, hassle-free workflow that will allow you to focus on your patients. Our services include comprehensive, transcribed reports with convenient and fully HIPAA-compliant online delivery. Anthony Bennett, MD, is the owner, operator, and chief radiologist at Advanced Virtual Radiology. As a board-certified, fellowship trained radiologist, Dr. Bennett has been a licensed physician for over 25 years, and has been providing teleradiology services for over 17 years. He specializes in multi-channel CT procedures with complex reconstructions, nuclear cardiology, and provides accurate readings for MRI's, x-rays, ultrasounds, and more. Dr. Bennett is licensed to work in Michigan, Ohio, Missouri, New York, Illinois, and Arizona. Our services include comprehensive and transcribed reports that are fully HIPAA-compliant that have a quick turnaround time. Our certified staff are ACR-certified in all modalities with current CME requirements. Our radiologists have a tremendous amount of experience and expertise in the field of radiology, and our responses are prompt, accurate, and reasonably priced. At Advanced Virtual Technology, patients have access to a network of highly specialized radiologists right when they need them. Whether your needs include primary or over-reads, our radiologists will provide you with exceptional diagnostic solutions and rapid report turnaround. Our teleradiologists have the ability to efficiently provide thorough reads from all types of modalities involving various manners of study. Our team works closely together to provide the best level of diagnostic interpretation expertise, regardless of where you are located. Our radiologists are trained to provide readings across all a wide array of modalities, from CT's to MRI's, and more. At Advanced Virtual Radiology, our team always provides our patients with high-quality solutions and we work closely together to ensure we provide the most optimal level of diagnostic interpretation expertise, regardless of where you are located. Advanced Virtual Technology is a certified 100% radiologist owned and operated practice in Birmingham. We are committed to providing the highest quality teleradiology services to patients and are our services are customized to meet your needs. For high quality radiology services for clients in Birmingham or across the states, our team at Advanced Virtual Radiology strive to achieve the highest standards in patient care and readings. Call us today at 248-894-8019 today!